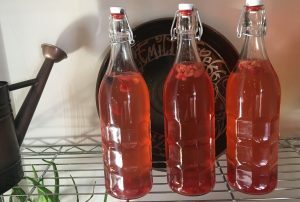 Kombucha is all the rage right now. Healthy, loaded with gut-friendly probiotics, and really simple to make. Kombucha tea is a traditional drink that is made from fermenting black tea and sugar. (Yes, sugar. But don’t worry, you aren’t drinking sugar- this just acts as the food for the fermentation process.) It includes a combination of vinegar, b-vitamins, enzymes, and probiotics. Kombucha might be compared to the taste of a fizzy soda as it has a sweetness, and is carbonated from the fermentation process. 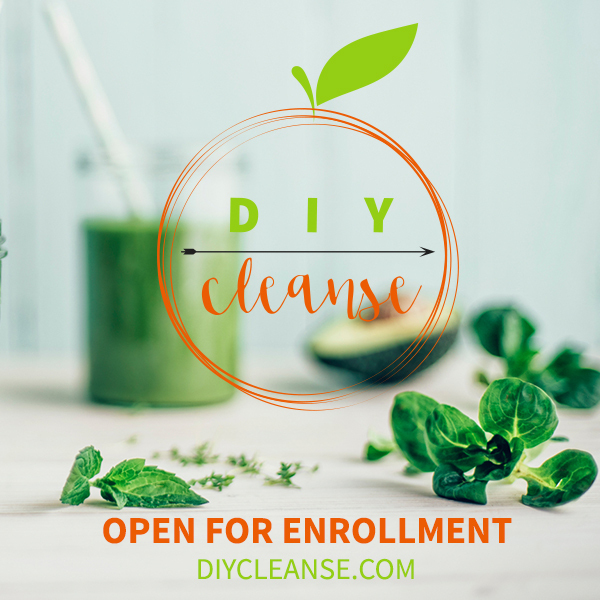 It is known to be a profoundly effective detoxifier of the entire body through the binding of the organic acids in the kombucha tea to the toxins in the body. Also, because of it’s antioxidant power, it supports the liver when it comes to free radicals and toxins. Kombucha can also be a very effective way to prevent lactic acid from forming in muscles. Perhaps it’s most famous claim to fame is the vast amount of probiotics in kombucha. Kombucha is also famous for cancer prevention, weight loss, increasing energy and supporting the immune system. If the directions below overwhelm you, watch this fun and simple video from one of my favorite nutritionists! This is how I learned to do it myself! 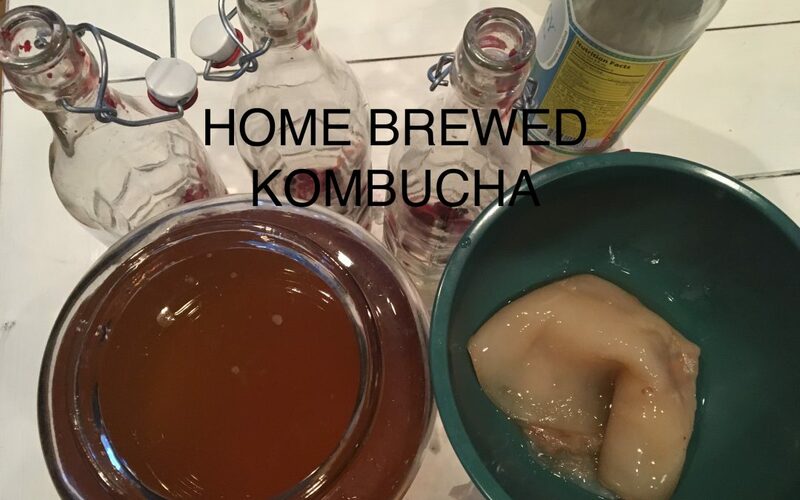 Healthy Home Economist Kombucha Video. 1-gallon glass bowl or container of some kind. You can get a scooby from someone who is already brewing kombucha (they will have lots to share) or if you don’t know anyone, try to find a 16 oz of raw kombucha from a farmers market or brew shop and you can grow your own scooby. Boil 3 quarts of water. Add 1 cup of white sugar to the boiling water and dissolve. Continue to boil sugar water for 5 minutes. Remove pot from heat and add 3 black tea bags. Brew for 15 minutes. Remove tea bags and let tea/sugar mixture cool to room temperature. Do not cool too long! Leave in a quiet semi-lit room for 7-10 days. (I keep mine in the closet with some light, and the doors open. When you see a new scooby or culture begin to form at the top, wait until it’s about 1/8” thick. Taste your brew. It should be slightly sweet, and slightly tangy and fizzy. That is when your brew is ready to be harvested. Sometimes I brew for 7 days, sometimes I brew for up to 21 days. It just depends on when I have time to start the second fermentation process, as well as the thickness of the scooby. *this is not necessary as your kombucha is ready to drink, but the second ferment adds more flavor, and more fiz which is my favorite part of drinking it! Set out jars that you will do the second ferment in. I use 1-liter jars with pop tops, but you can use any glass jar (such as a mason jar.) In each jar for flavoring, add 1oz (or one small handful) of organic chopped fruit. You can choose any fruit/flavor you like. I typically use a frozen strawberry, cherry, blueberry blend. I also add 1 T organic lemon juice, but you can add any juice you would like. Fill with your kombucha. Place on a shelf in your home at room temperature. Allow these smaller batches to ferment 2-3 days. Each day, you need to burp the bottle. Just simply pop the top, or open the jar lid to let the pressure out. If you don’t do this, the jar can explode!! When the kombucha is to your desired taste, and carbonation, put into the fridge to stop the fermenting process.